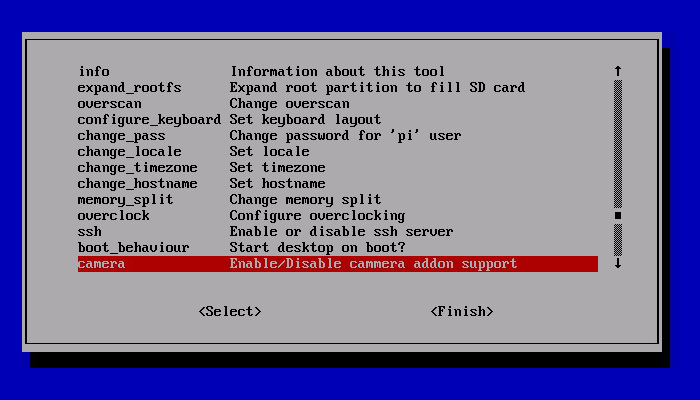 The first step is to add the camera to Raspberry Pi board. It is IMPORTANT that you ensure that you remove all / any static by touching a radiator first. The camera can be damaged or destroyed by static. The blue part points away from the HDMI port. update / upgrade failed in some way. Try it again. Error : ENOMEM displayed. Camera is not starting up. Check all connections again. Error : ENOSPC displayed. Camera is probably running out of GPU memory. The gpu_mem option should be at least 128.